Just in time for summer, the Globalstar Sat-Fi is out. The mysterious Sat-Fi, mentioned once by Globalstar early in 2014 and never spoken of since, has been released! Globalstar pulled a Beyoncé with this one by introducing a brand-new satellite phone and making it available for sale on the exact same day. That’s right – the Sat-Fi is available for sale. What Is The Globalstar Sat-Fi? The Globalstar Sat-Fi is a satellite WiFi and VoIP hotspot that allows you to make satellite calls over your smartphone, send and receive compression email, and post to popular social media sites. With Sat-Fi, you can use your existing smartphones to send and receive voice or data communications via the Globalstar network, offering seamless voice and data connectivity when beyond the range of cellular. User can port over their existing phone numbers or use a newly assigned US-based number. Through a convenient app and Sat-Fi satellite WiFi hot spot, subscribers will be able to easily send and receive calls, email and SMS text messages anywhere within Globalstar’s footprint from their own device. Easily connect your WiFi-enabled device to the Sat-Fi device with the custom, convenient apps. Sat-Fi allows you to send and receive fast, compressed email, post to social media sites like Facebook and Twitter, and browse the web with compression increasing your speed by 3 x 5 times. The Sat-Fi Voice app allows you to make phone calls from your smartphone, using your contacts, over the Globalstar network. Are available for Android, Apple iOS, Mac and Windows and allow you to easily make voice calls, send emails, SMS & post to social media. The Sat-Fi Voice app conveniently uses existing device contacts and allows you to transfer incoming calls and send text messages between connected users. Sat-Fi’s S.O.S. alert capability** with GPS location data can send critical information to emergency responders. (** SOS coming soon). XGate works perfectly with the Globalstar Sat-Fi. Get the compression, ease of use, and airtime savings with XGate, the leading independent satellite email provider. Why Is the Sat-Fi A Game Changer? 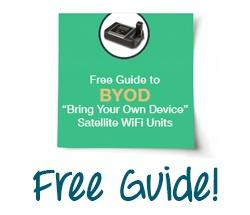 With the Sat-Fi we’re seeing the fruition of the BYOD generation of satellite devices (“Bring Your Own Device”). These devices allow you to use your own smartphones, tablets, and (sometimes) laptops and computers to connect to your satellite connection via WiFi. Many providers, like Iridium with the Iridium GO! and Inmarsat with the IsatHub, are introducing new products this summer. There’s a right unit for everybody – call or email for a free consultation to find out which one is for you. When Is The Sat-Fi Available? The Sat-Fi is available now! You can get it immediately in our online store or read more about it at the dedicated info page.